Women in medicine have very few ways to show off your personal style at work. Sure, you can get creative with accessories (as long as they don’t get in the way of your work!) or wear brightly patterned scrubs, but what should you do if you want to appear stylish yet elegant and professional? Medelita was the first company to ever introduce a lab coat just for women, and they’ve continued to raise the bar with their elevated styles and graceful tailoring. 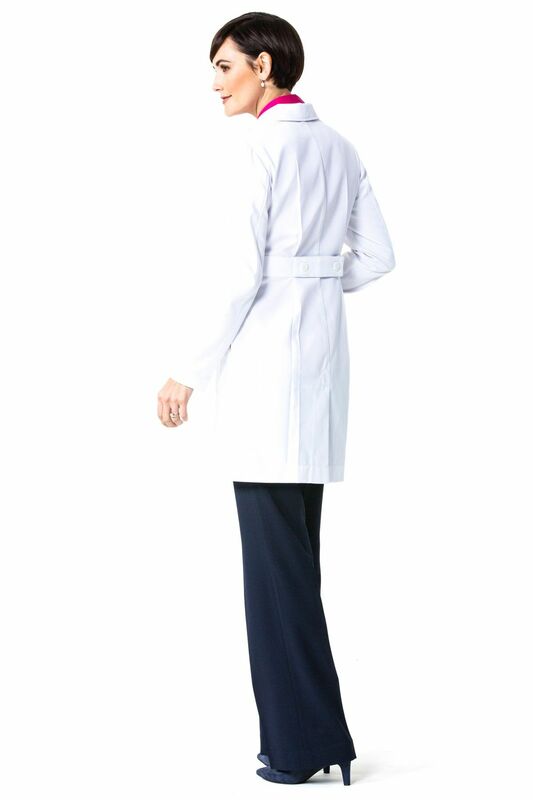 One of their signature feminine details on women’s styles of lab coats is the belted waistband, which first appeared on the Callia Classic Fit Coat. A double-button contoured waistband lends itself to a fitted and confident look for the workplace. The belted waistband feature can also be seen in a shorter version of this coat: the Ellody Petite Fit Coat. In this style, the back belt is very slimming and graceful. Having a lab coat that nips in slightly at the waist is a subtle way to show off your femininity in the workplace while remaining fully professional and confident. 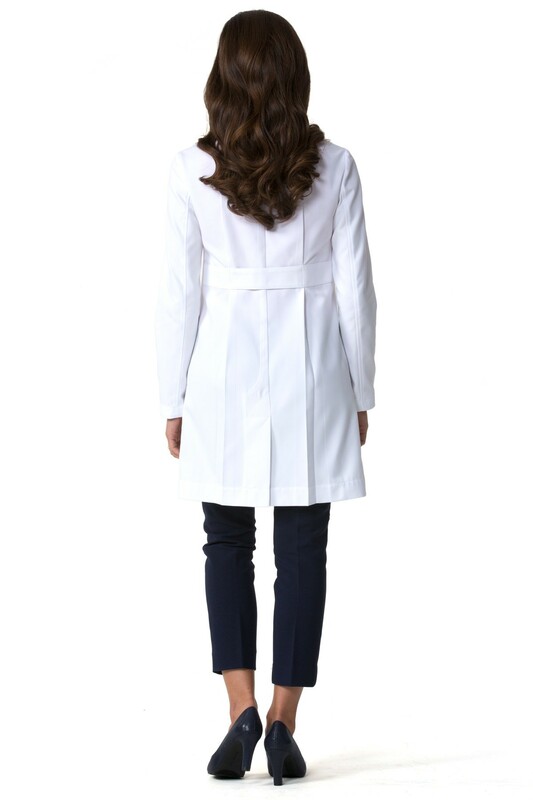 The first true petite lab coat for women, the Ellody back waistband elongates a woman’s silhouette. The best part about these styles of lab coat is that they are feminine yet professional, not at all overdone. The overall effect is an image of understated, tasteful elegance that is classic and beautifully professional. This entry was posted in Lab Coats, Women's Lab Coats and tagged lab coats, Lab Coats For Women on March 24, 2016 by Ariel Jacoby.